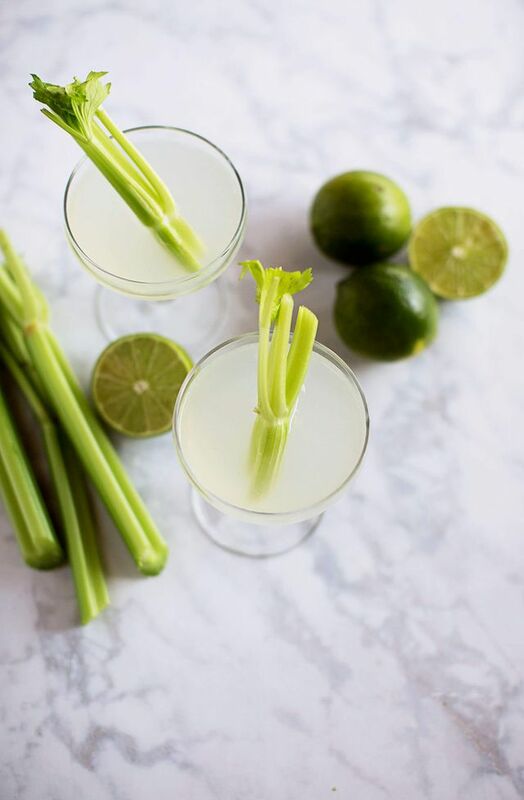 It’s Cocktail Hour… Veggie Style? – Hillside Gardens Ltd. 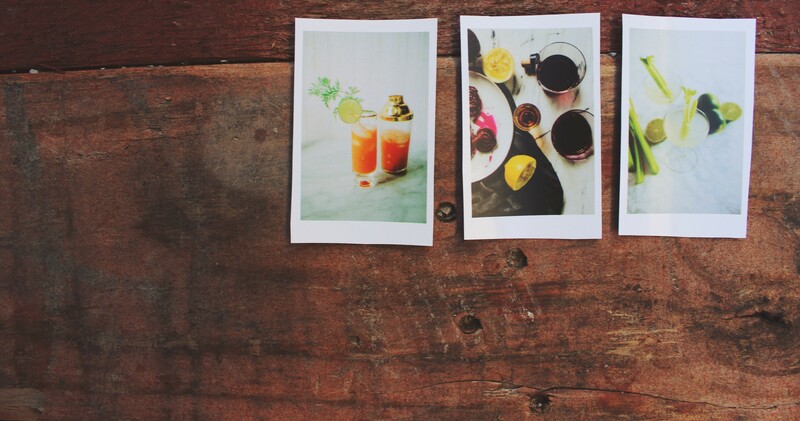 I figured that this was a perfect Friday afternoon blog post. We’re all ready for the weekend, and that usually goes hand in hand with the fact that we’re all really ready for that Friday night cocktail (or cocktails.. I’m not judging). This week I was scrolling through my Pinterest account with no other motives than to kill some time while waiting for dinner. 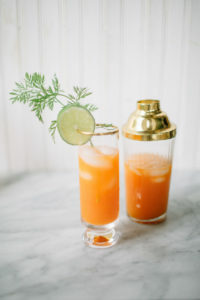 As I was scrolling I came across the yummiest looking cocktail. 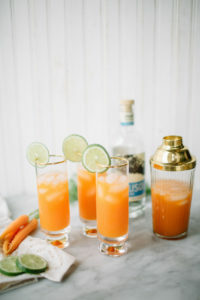 As I was checking out the recipe to see if I had the ingredients and only noticed that it was a carrot ginger cocktail! Brilliant! 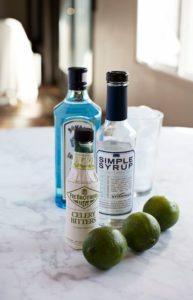 All the ingredients went together so well for an absolutely delicious drink. Of course, after I tried that one I needed to see what other fun veggie cocktails there were out there. And voila, that is what prompted this blog post. I’ve included here my three favorites. 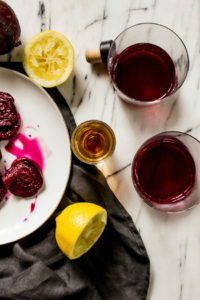 Credit to the creators of these recipes can be found at the bottom of this post, and click on the “blog” boxes to find the links to each page. Muddle ginger in the bottom of a cocktail shaker mixing glass. 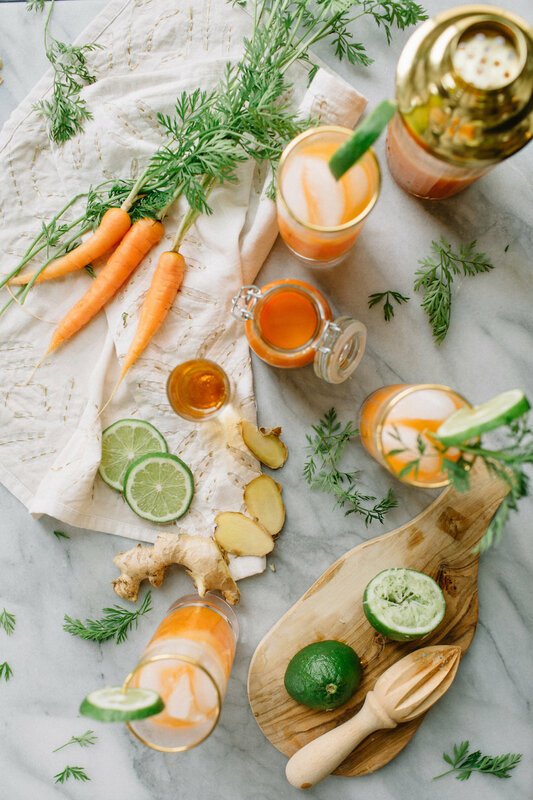 Double strain ( to remove ginger) into a high ball glass over fresh ice and garnish with carrot greens, lime zest, or carrot ribbons. 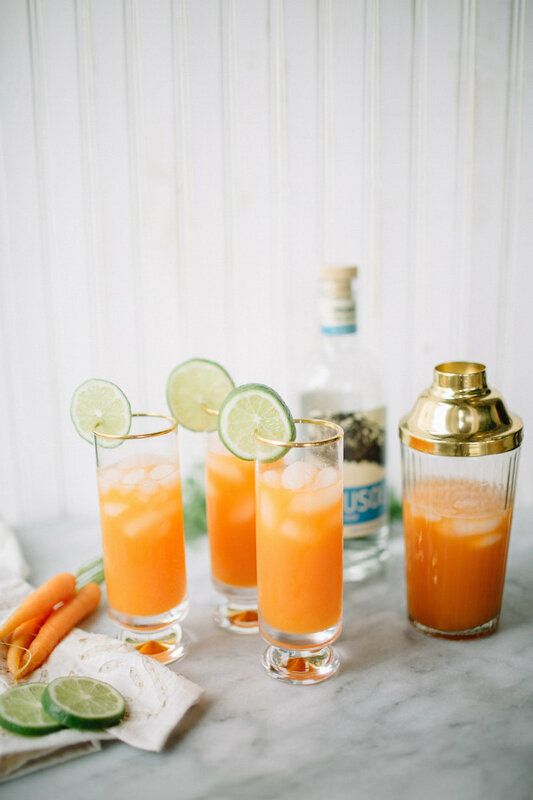 For the non-alcoholic version: Replace the rum with 1 1/2 oz. lemonade and 1/2 oz. Coco Lopez coconut milk. Top off with 3/4 oz. soda water. 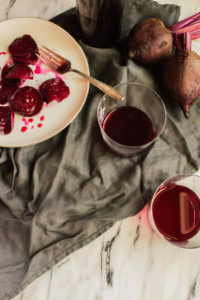 Place sliced beets in a mason jar and add maple syrup. Cover with a lid and give it a good shake. Put in the refrigerator for 24 hours and shake a few times in between. After 24 hours, add apple cider vinegar and balsamic vinegar. Give it another good shake and place back in the refrigerator for another 24 hours, shaking a few times in between. 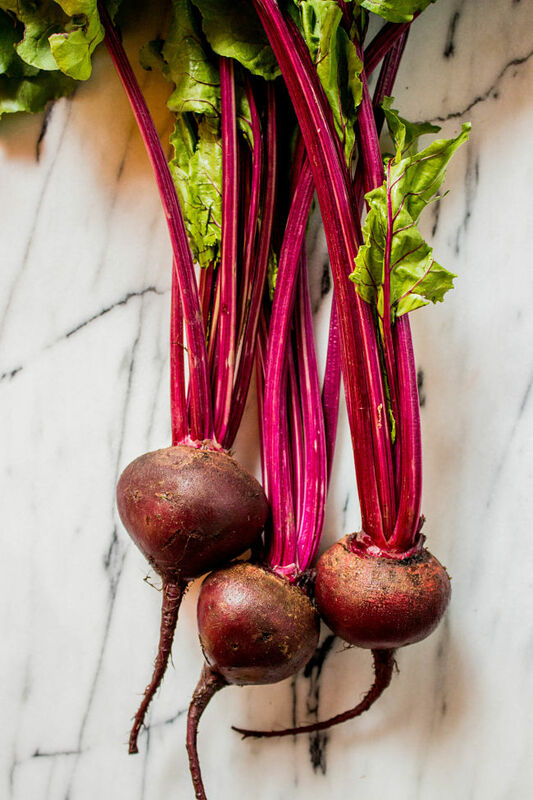 Strain the shrub into a jar, saving the liquid and discarding the beets. 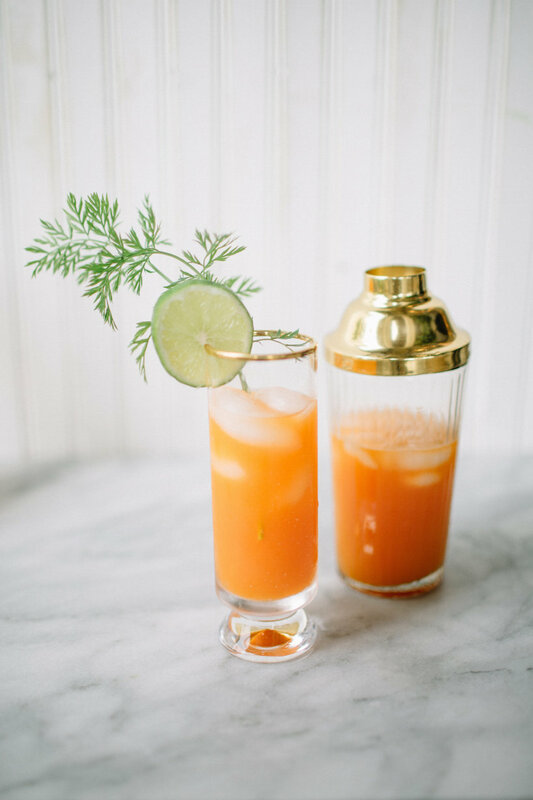 Combine 1 part bourbon, 2 parts shrub, lemon juice and ice in a cocktail shaker. Shake, pour and serve. 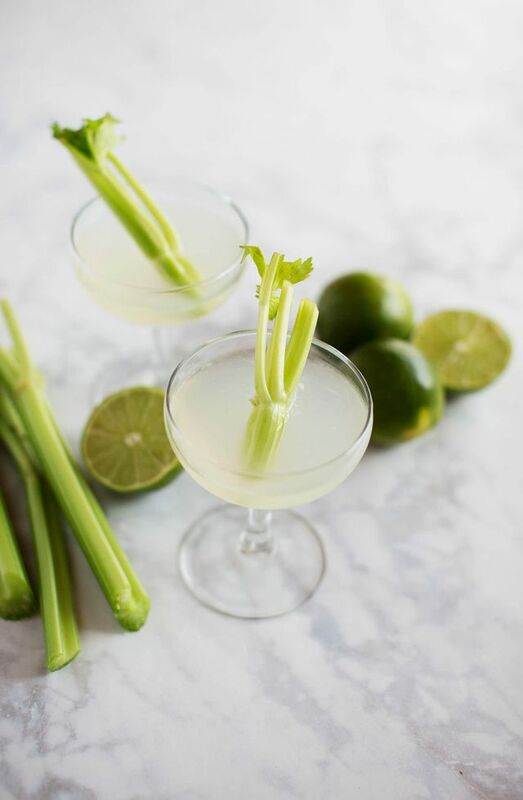 Strain into a coupe and garnish with celery if using. Enjoy right away.